A very substantial early 18th century mill comprehensively renovated and refurbished to provide a very spacious and adaptable residence and holiday lets, providing a five bedroom house, a three bedroom apartment, a bedsit and a most delightful stone two bedroom riverside cottage - the whole standing in an idyllic rural setting adjoining the River Clwyd amidst grounds of about 2 acres. The property is for sale as a family home plus holiday lettings business but, as the accommodation is very flexible, it would also be suitable as an extended family residence, permanent lets, or for other purposes (subject to the usual permissions / consents being obtained). Ruthin 5 miles, Chester 28 miles, Llangollen 16 miles. Hafannedd was purchased by the owners some 13 years ago in a derelict and redundant condition and has been completely renovated and refurbished and now provides a unique building, combining a self-contained three storey owners' house together with one highly appointed three bedroom apartment, a bedsit and a splendid two bedroom riverside cottage. The owners have created a very successful holiday lettings business with a 4 Star rating. Hafannedd stands in a secluded and sheltered position adjoining the River Clwyd with an extensive landscaped garden. The nearby town of Ruthin provides a range of facilities catering for most daily requirements together with good road links towards Chester and Deeside. This is an ideal base for tourism as it is within easy reach of all the attractions North Wales and Snowdonia have to offer, whilst being within easy reach of Liverpool, the North West, the Midlands and the Shropshire borders. 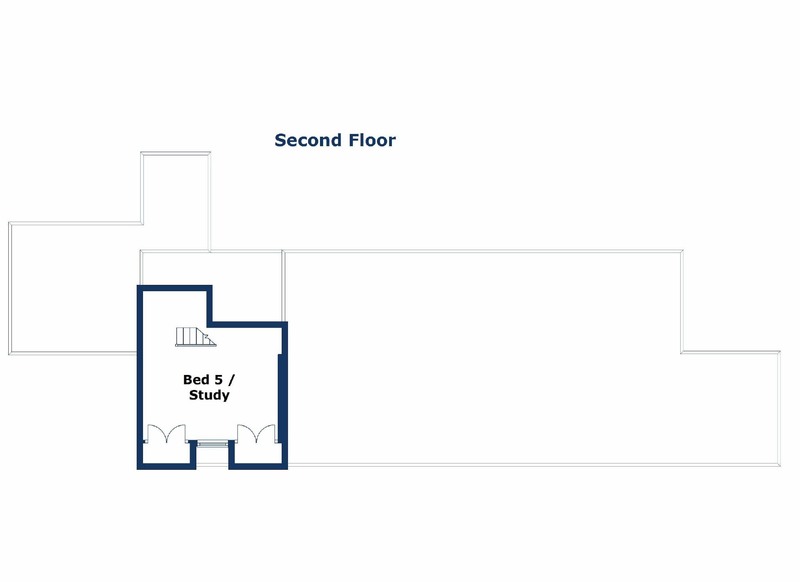 As indicated, the accommodation is very flexible and the lounge plus bedroom 4 and a bathroom could easily be split off to form a third holiday let, if required. Entrance door to main house, hardwood double glazed window to front, radiator, tiled flooring, wall lights, exposed beams, steps to snug/office. Window to side, hardwood single glazed window to front, tiled flooring, ceiling light. PVCu double glazed window to rear, radiator, laminate flooring, wall lights. Fitted with a matching range of base units with drawers and worktop space over, matching island unit with cupboards under, stainless steel sink and mixer tap, space for fridge / freezer and cooker, fitted Stanley range cooker (also provides heating and hot water), PVCu double glazed window to rear, tiled flooring, exposed beams and ceiling light. Fitted with a matching range of base units with worktop space over, wall unit, one and a quarter bowl sink unit with single drainer and mixer tap, plumbing for washing machine and dishwasher, PVCu double glazed window to rear, PVCu double glazed window to side, radiator, tiled flooring and hardwood stable door. Two new upvc double glazed windows to front, radiator, fitted carpet, exposed beams and ceiling light, solid fuel burning stove with glass door. Inglenook with original cupboards. Stairs, open plan to storage cupboard. 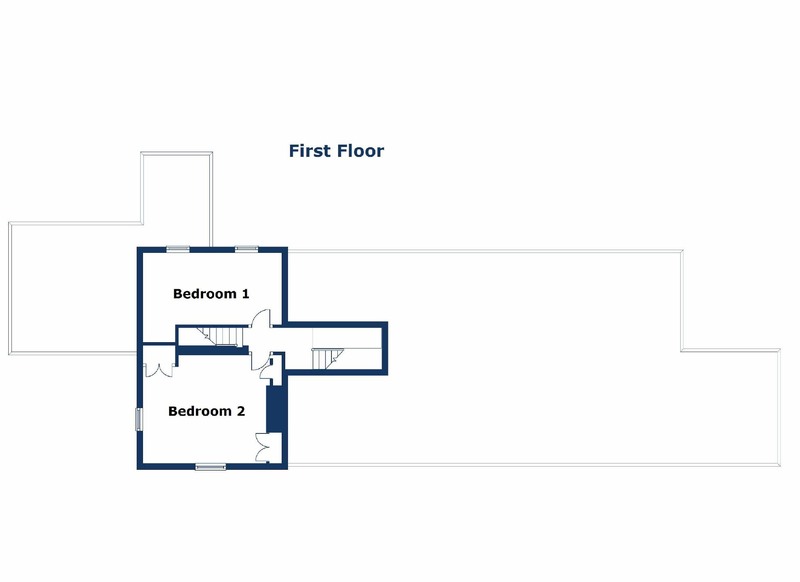 Three piece coloured suite comprising panelled bath with shower over and glass screen, washbasin and low-level WC, tiled splashbacks, PVCu double glazed window to rear, radiator, fitted carpet, ceiling spotlights. Radiator, fitted carpet, ceiling light. PVCu double glazed window to front, radiator, fitted carpet, exposed beams and ceiling light. Two piece suite wash hand basin and low-level WC, tiled splashbacks, laminate flooring, ceiling spotlight. Hardwood double glazed window to rear, radiator, laminate flooring, ceiling spotlight, three piece suite comprising panelled bath with shower over, pedestal wash hand basin and low-level WC, tiled spashbacks, wall mounted mirror, shaver point and light. External staircase from garden leading to hardwood entrance door, five PVCu double glazed windows, two radiators, fitted carpet / wooden flooring, wall light(s), vaulted ceiling with exposed beams, ceiling light and Velux skylights. Solid fuel burning stove, matching range of base and eye level units and cupboards, stainless steel sink with single drainer and mixer tap, integrated fridge, three ring ceramic hob with extractor hood over. Attic space for storage. Fitted carpet with ceiling light, bookcase, stairs. Two PVCu double glazed windows to rear, built-in wardrobe, radiator, fitted carpet, exposed beams and ceiling light. New double glazed windows to side and front, three built-in wardrobes, radiator, fitted carpet, exposed beams and ceiling light. UPVC double glazed window, radiator, fitted carpet, sloping ceiling with exposed beams, ceiling light and dormer with hardwood window. Built in cupboards. External entrance door to communal area, PVCu double glazed window to front, radiator, laminate flooring, ceiling spotlights. Radiator, laminate flooring, exposed beams and spotlights, plumbing for washing machine, stainless steel sink unit worktop space with base cupboard. Worcester oil fired central heating boiler. Cupboard. Panelled door leading to hall, fitted carpet, ceiling spotlights. Radiator, laminate flooring, ceiling spotlights, four piece suite comprising bath, pedestal wash hand basin, tiled shower cubicle with fitted shower over, shower base and glass screen and low-level WC, tiling to all walls, shaver point and light. PVCu double glazed window to front, radiator, fitted carpet, exposed beams and ceiling spotlights. Two PVCu double glazed windows to rear, two radiators, fitted carpet / laminate flooring, exposed beams and ceiling spotlights. Solid fuel burning stove, matching range of base and eye level units and cupboards with drawers and worktop space over, stainless steel sink with single drainer and mixer tap, fridge, cooker. PVCu double glazed window to side, PVCu double glazed window to front, radiator, fitted carpet, exposed beams and ceiling spotlight. Tiled flooring, ceiling light, three piece suite comprising panelled bath with shower over, shower curtain and rail, pedestal wash hand basin and low-level WC, tiled splashbacks, extractor fan, wall mounted mirror. Single storey storage/workshop area with double doors. Power and light. Two hardwood double glazed windows, radiator, tiled flooring, ceiling spotlights, matching range of base units with drawers and worktop space over, stainless steel sink with single drainer and mixer tap, fridge/freezer, cooker, stairs, hardwood double glazed patio double doors to decking area overlooking river. Hardwood double glazed window to front, radiator, fitted carpet, vaulted ceiling with ceiling spotlights and ventilated Velux skylights. Hardwood double glazed window to rear, fitted carpet, vaulted ceiling with ceiling light and Velux skylights, storage cupboard. Laminate flooring, sloping ceiling with ceiling spotlights with pedestal wash hand basin and tiled shower cubicle with fitted shower over, tiled splashbacks, heated towel rail, extractor fan, wall mounted mirror, shaver point and light. 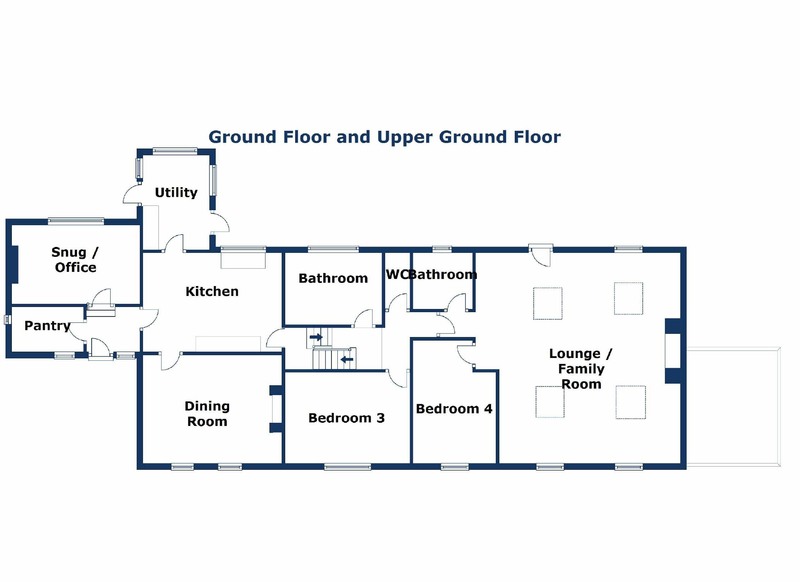 Laminate flooring, sloping ceiling with wall light(s), two piece suite comprising, wash hand basin, low-level WC and extractor fan, tiled splashbacks. Property entered via stone gateway leading to surfaced parking for up to ten cars, pathways leading to Main House, Mill entrance, Bedsit entrance, and Cottage. About two acres in total, including extensive river frontage, a small paddock, woodland, pond, formal and informal gardens. In the grounds are the following outbuildings: workshop (attached to main mill building), former stone pigsty, wood store, two wooden sheds, two poly-tunnels and a greenhouse. We understand the property has mains water and electricity, with its own private sewage treatment plant. All accommodation is centrally heated by oil and all units have wood-burning stoves. 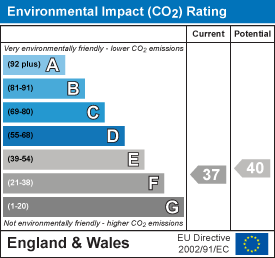 Please note the EPC attached is for Hafannedd House. 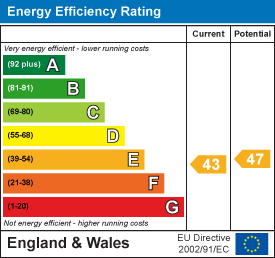 EPCs for the Mill and Cottage are available to view at the Agent's Office. Main House - EER = E, EIR = F and EER =C, EIR = C. (COMBINED). 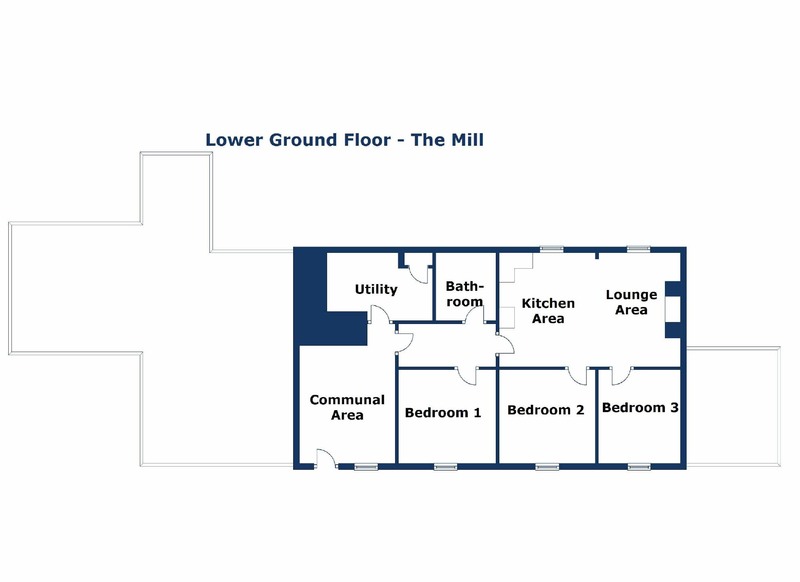 Included within the sale is the freehold property as described, the holiday lettings business as a going concern (if required), together with fitted carpets throughout the whole property and in the two lettings units, - all furniture, fittings, linen, crockery, cutlery etc to permit the units to be let as at present are available by separate negotiation. In addition, the website (www.hafannedd.com), the domain names hafannedd.com, hafannedd.co.uk and on-going paid subscriptions to various holiday websites are also included. Current average annual occupancy (based on 365 day opening) is around 50%. Audited accounts for the last 3 financial years can be made available to interested parties. From the Agent's Ruthin Office take the A494 Corwen Road proceeding through the village of Pwllglas and continue for a further 2 miles, proceeding past the entrance to the Nant Clwyd Estate. Continue through the hamlet of Pandy'r Capel and upon reaching the redundant chapel on the left hand side, the driveway to Hafannedd will be found after about 100 yards on the right hand side. By appointment through the Agent's Ruthin office 01824 703030.